You are at:Home»Digital»5 SEO Recommendations That Matter the Most! SEO is a fast-paced and aggressive field. A lot has changed, however certain fundamental principles remain unchanged. It can also sometimes be frustrating, especially if you’re relying on outdated strategies that no longer work. That’s why it is important to stay well-informed and learn continuously. What is structured data? It simply refers to any data which is organized. It refers to implementing some type of markup on a webpage, in order to provide additional detail around the page’s content. This markup improves the search engines understanding of that content, which can help with relevancy signals and also enables a site to benefit from enhanced results in the Search Engine Result pages. (SERPs). Structured data makes a positive impact on consumers in different industries, but different structured data will be required for different sites and pages within the site. It is useful in the Job and recruiting industry, Beauty Services, Events, and many more. Structured data makes it faster and easier for web crawlers to understand the information within the page, making it a powerful tool, which is often misused. If used correctly, it will make quite a positive impact on the pages. Page’s freshness is determined by multiple factors. The easiest way to indicate Google how fresh your page is, simply have a date on the page. This is applicable to blogs, news and product pages related dates, such as event sites. Web crawlers have the ability to differentiate between fresh and old content, whether it has a date or not. Dates are helpful, your content freshness should always reflect and target what users are searching for. Not having too many links on one page can make a positive impact and lesser confusion to the user. For example, linking to all categories from your homepage could be the best user experience and the fastest way for crawlers to discover your pages. But it will also impact the amount of value the page is sending to all the pages it links to. Likelihood of these pages to better compete. Revenue/Capital that comes from these pages. Balancing internal linking is an important ranking factor because it will dictate how users and crawlers discover your pages. Changing title tags and finding out if they made a positive impact is difficult to prove. Changing a title has always changed the amount of sessions variant pages were getting whether positively or negatively. There is no absolute rule on what to change your title to. It all depends on your page type. Title tags have been very successful in the Travel and Lifestyle industry particularly. Change of title doesn’t depend on one factor but many. Interesting articles or campaigns related to your business, not commercial pages (pages that are trying to sell something), and they end up obtaining quite a lot of coverage from different sources and, eventually external links. Know your primary campaign goal. Never expect short term focus on the long term strategy. Measuring the impact of SEO changes is a consistent challenge and not every SEO technique will work, it depends on the type of content you create. 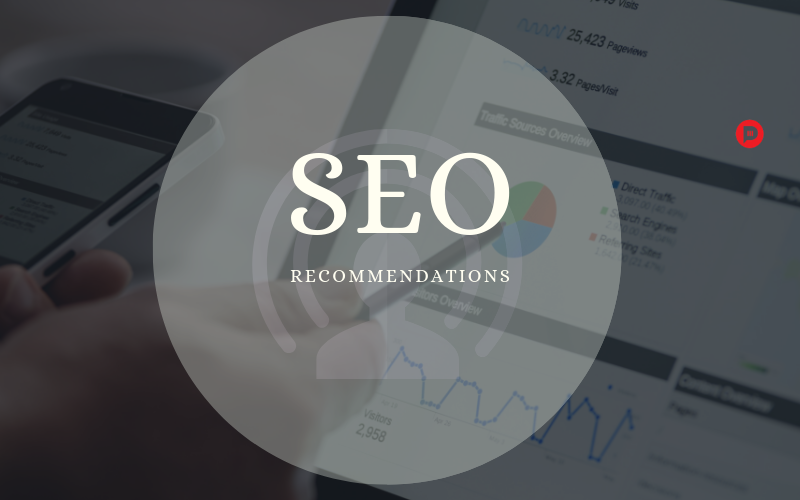 The above SEO recommendations are not hard written rules for a successful campaign, but they are worth analyzing for the sites you work on.